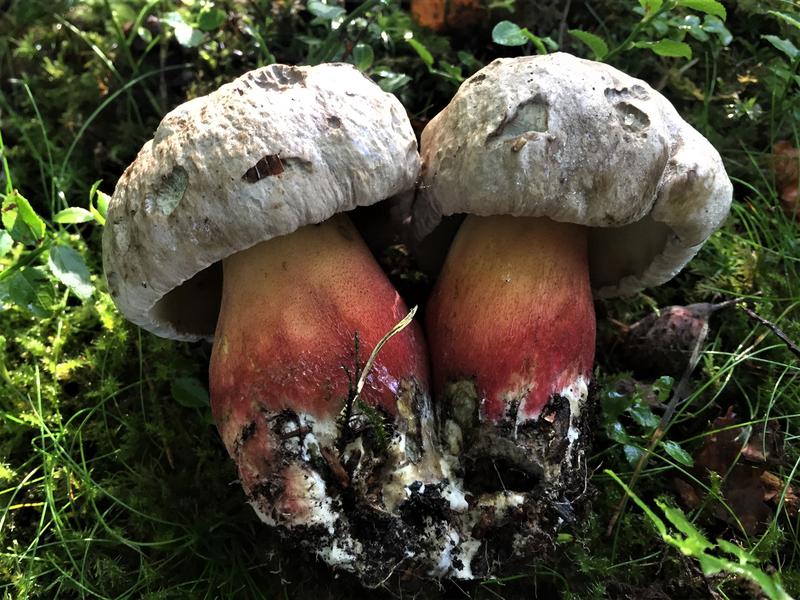 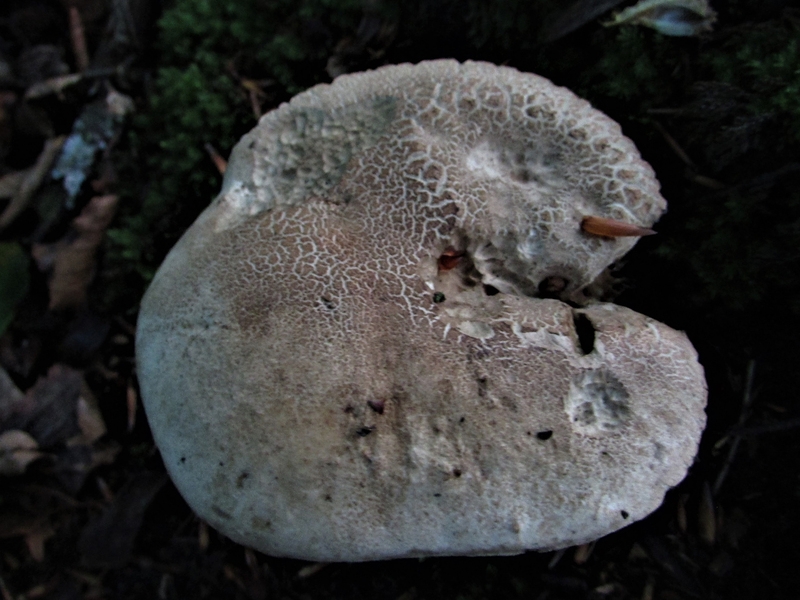 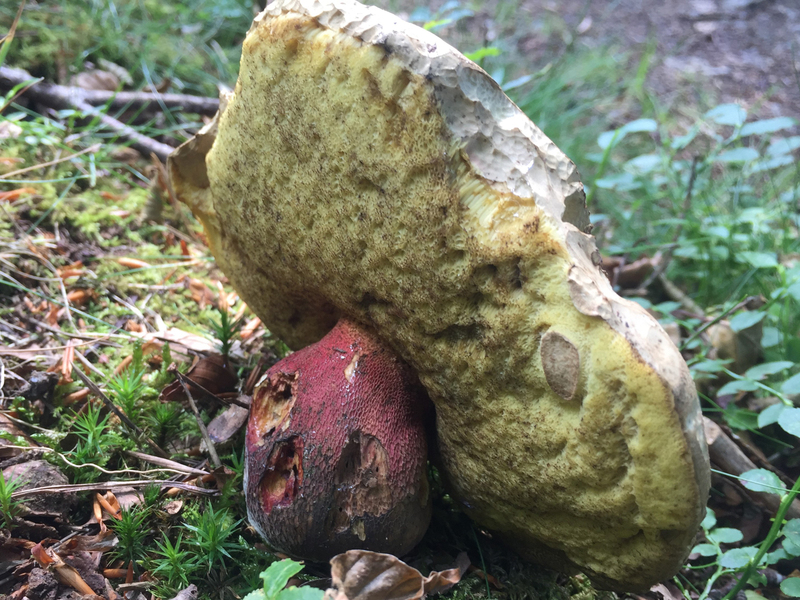 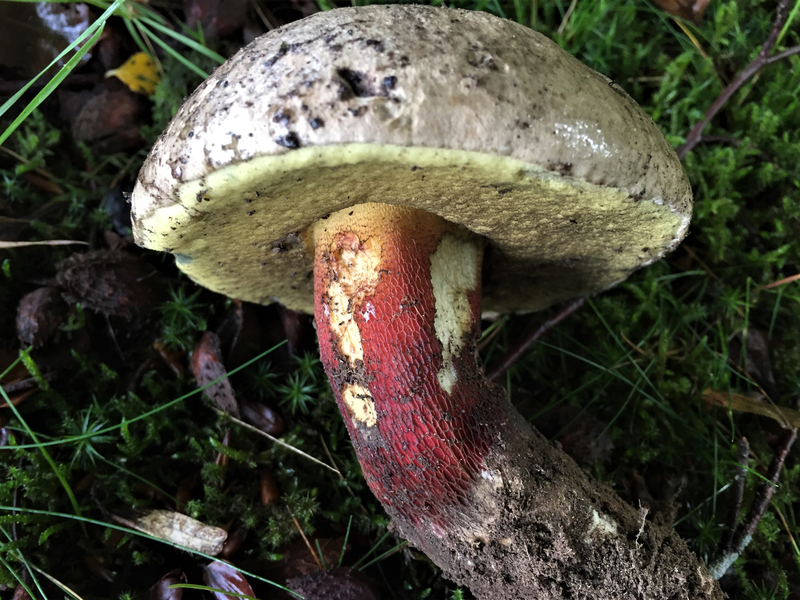 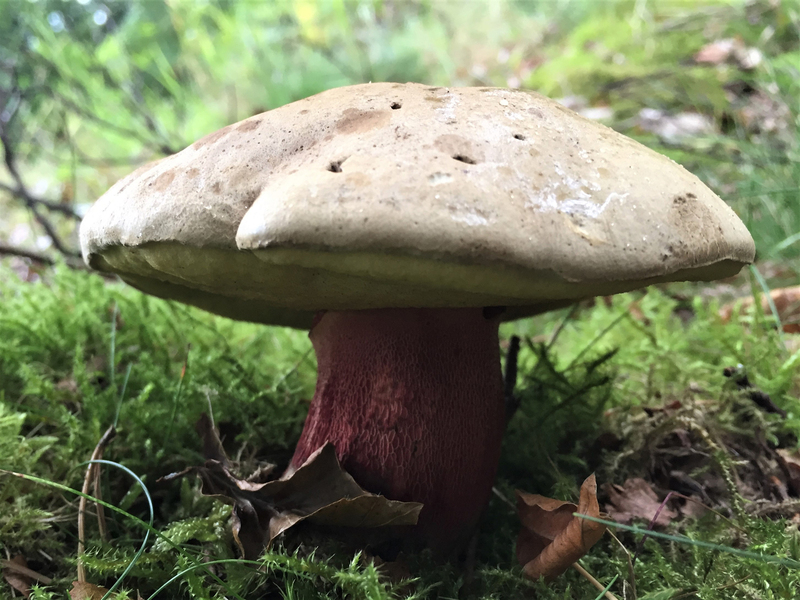 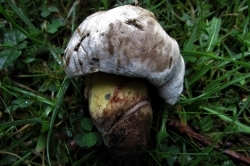 The Bitter Beech Bolete, Caloboletus calopus, is a magnificent mushroom but sadly is inedible. 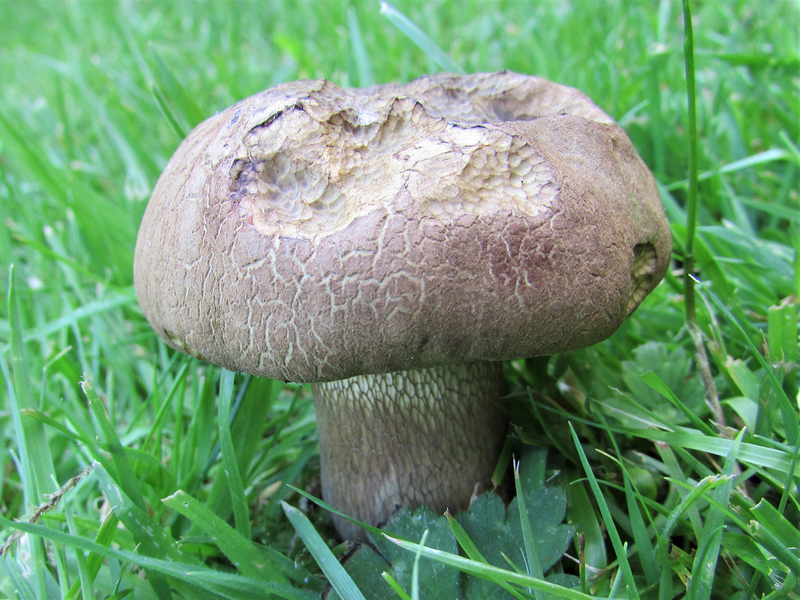 Although not poisonous, this mushroom will ruin any dish you put it in due to its extreme bitterness. 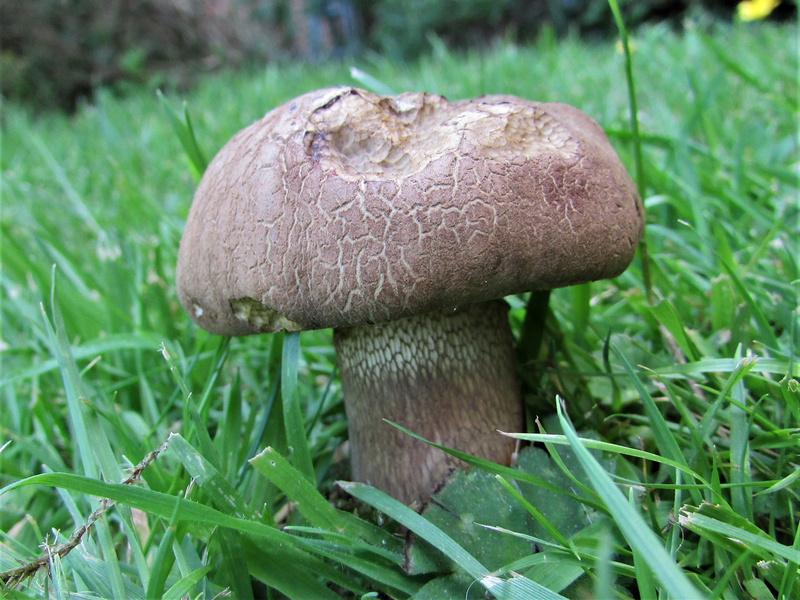 Cloudy grey with some tan hints. 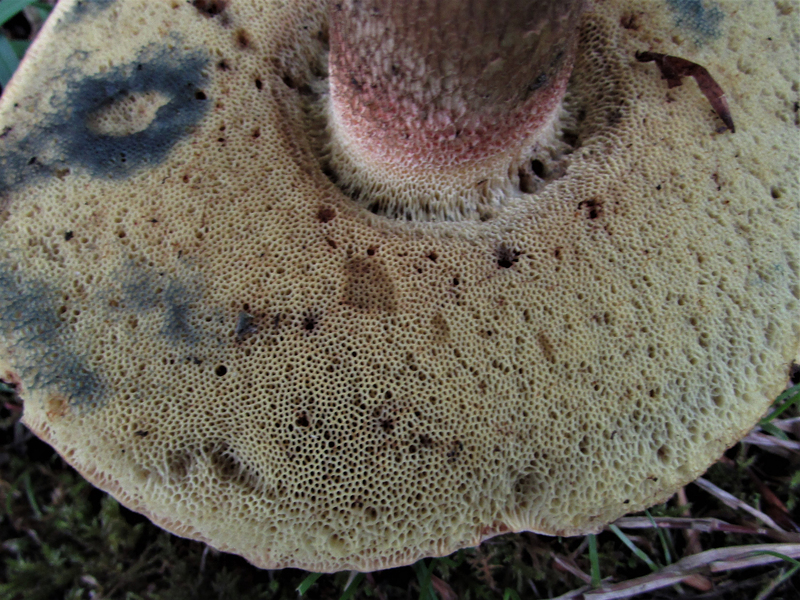 Starting a bit downy but becoming smooth with age. 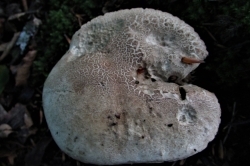 Can crack towards the centre. 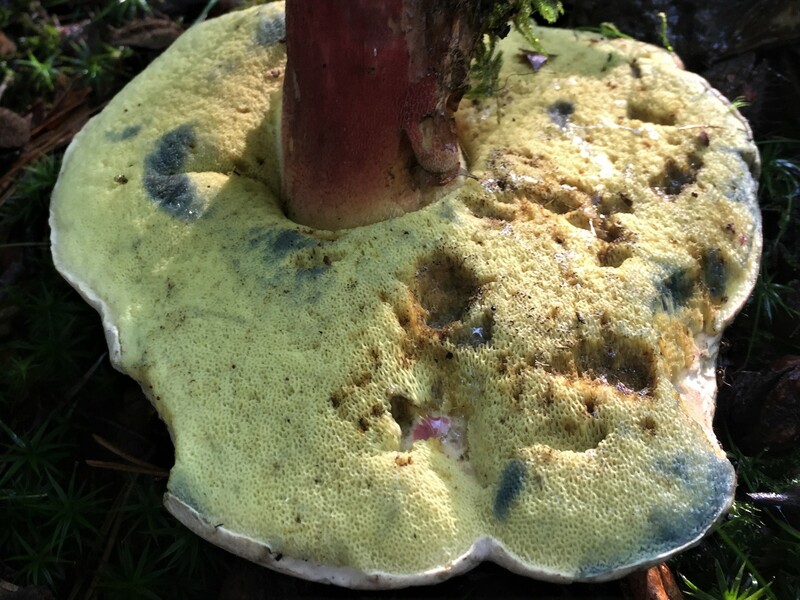 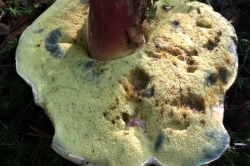 Lemon yellow, tight, sponge like pores which bruise a pale blueish green. 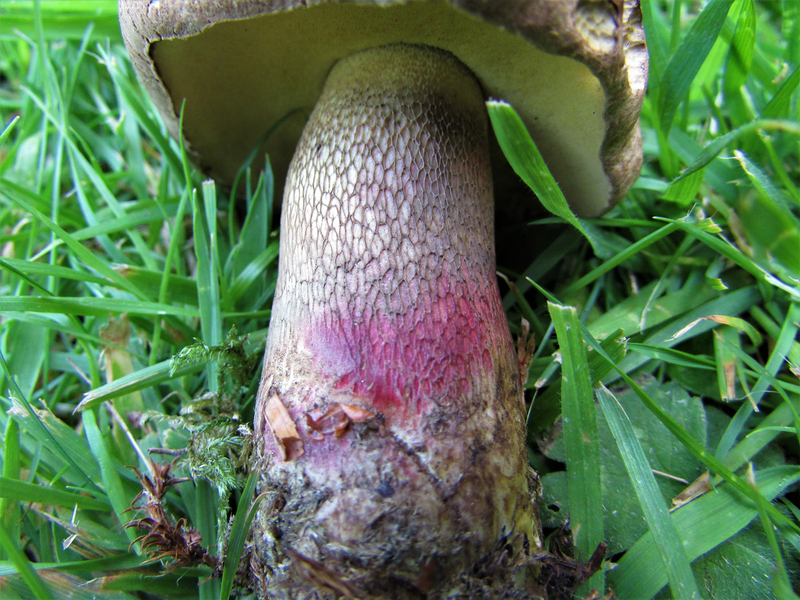 Lemon yellow at the top going into red and finally brown at the bottom, this is covered in a light coloured mesh. 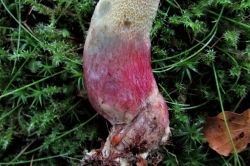 The stem has traces of ‘roots’ when pulled up. 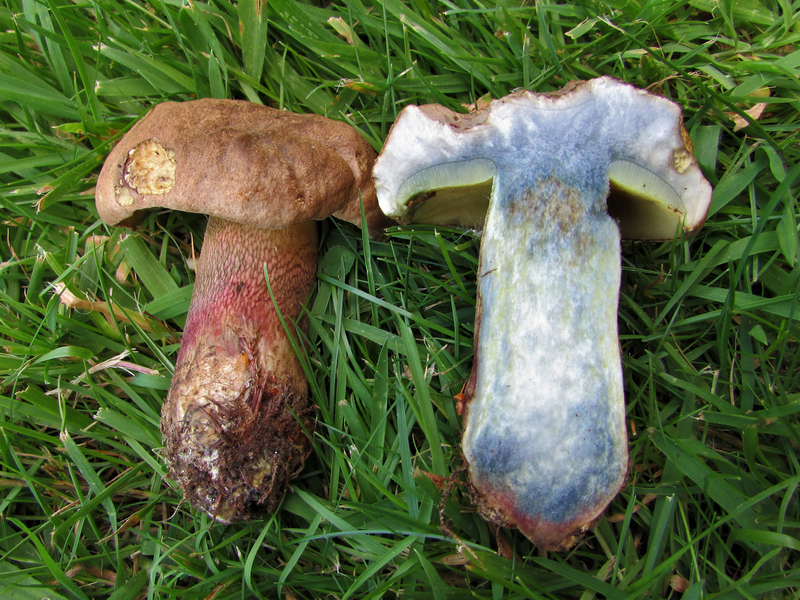 Pale yellow but turning immediately off white on cutting and changing to blue after a short time. 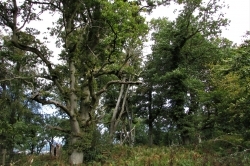 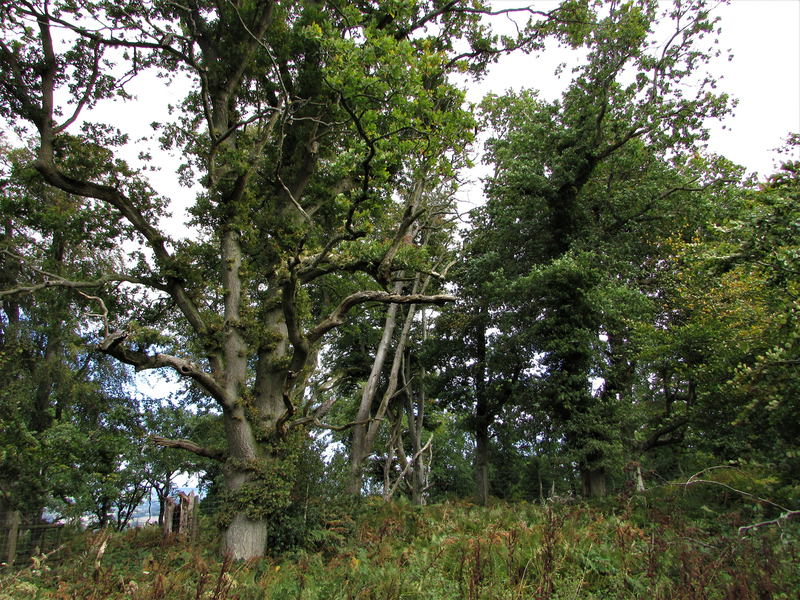 Beech and oak but will grow with other deciduous trees. 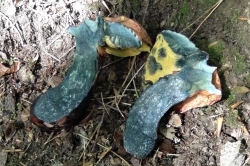 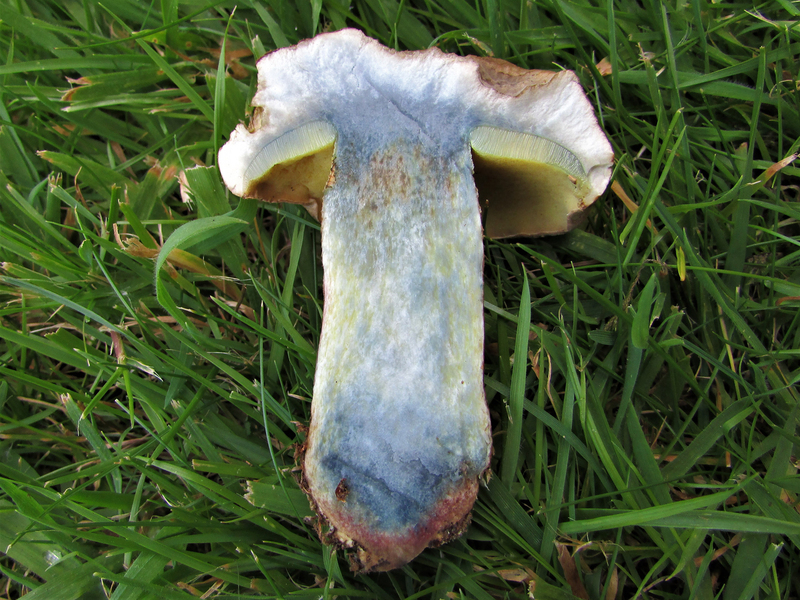 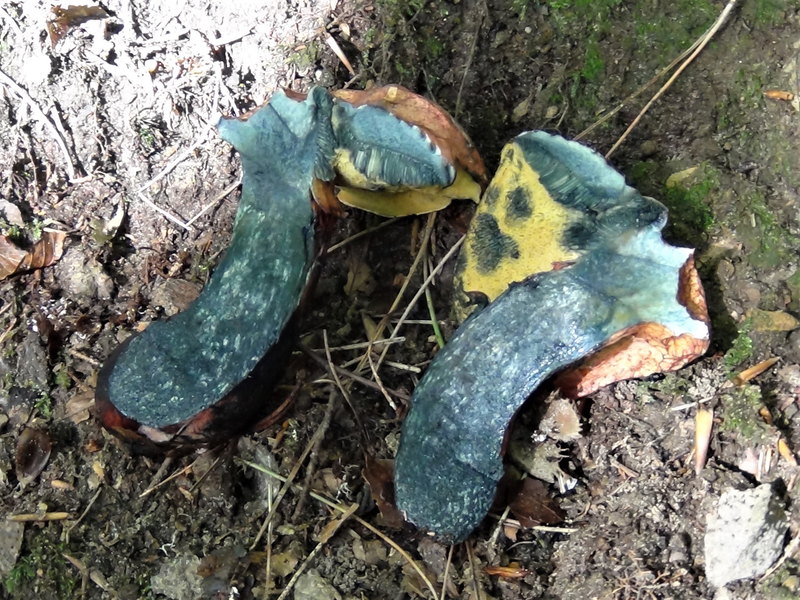 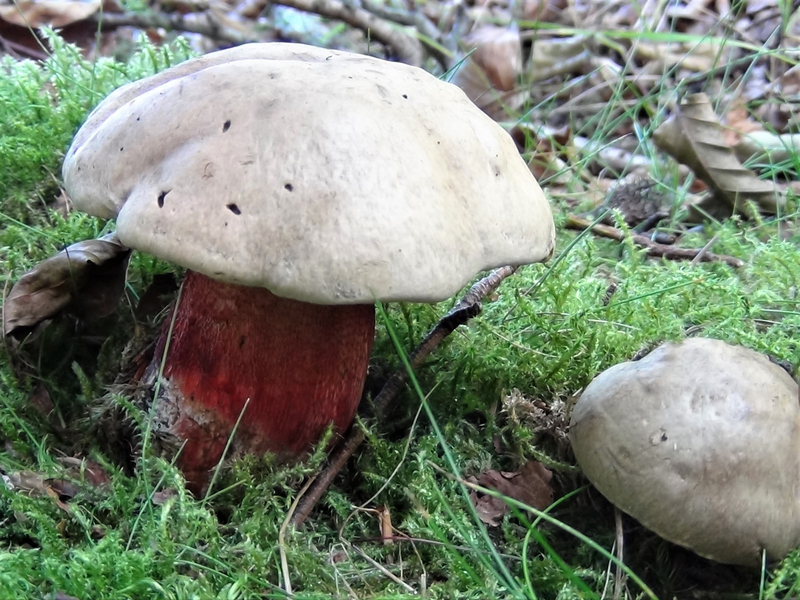 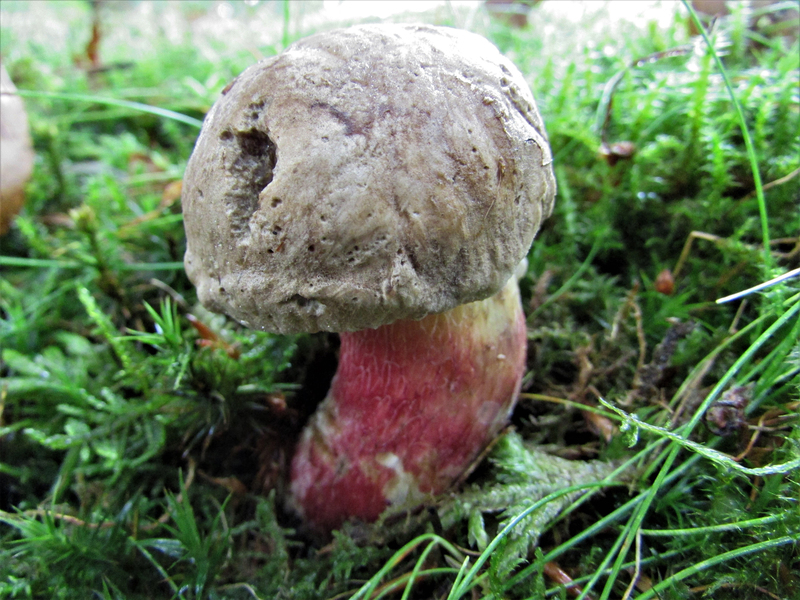 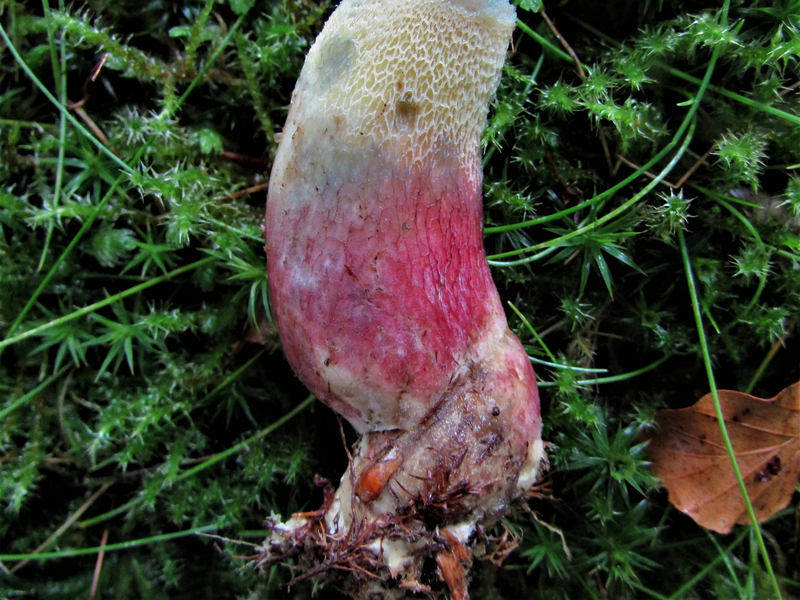 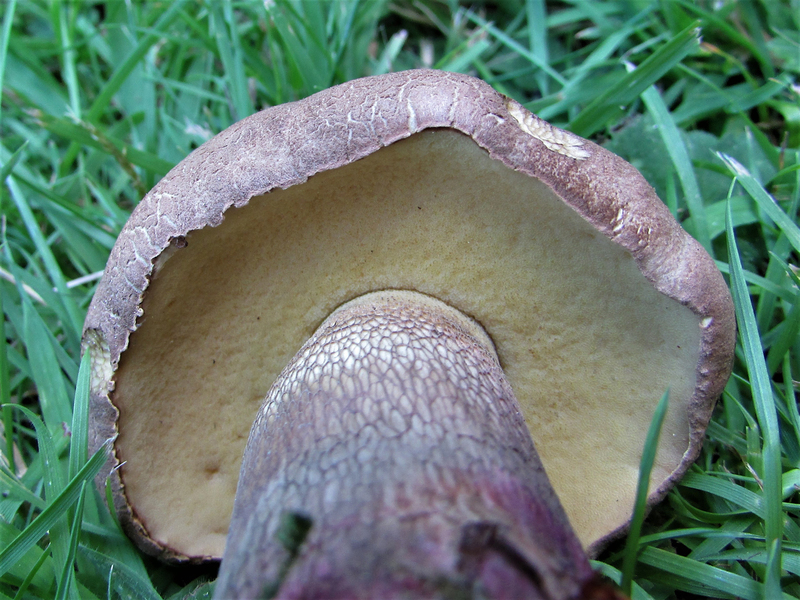 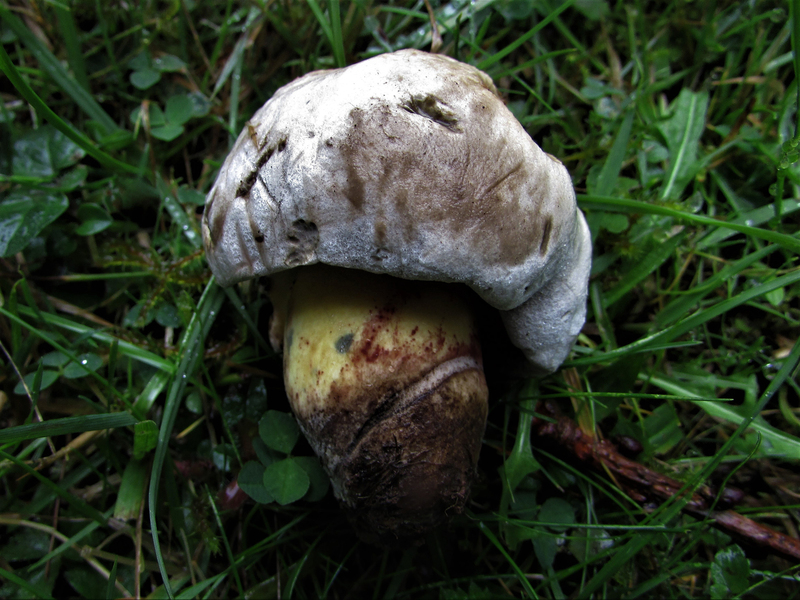 Other Boletes, particularly the Rooting Bolete, Caloboletus radicans, pictured.